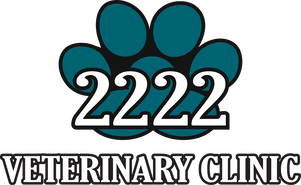 We value our clients' experience at 2222 Veterinary Clinic. If your pet or animal is currently a patient, please feel free to complete the following Client Experience Questionnaire. The Questionnaire is in Adobe Acrobat format, and requires the free Acrobat Reader to view. "Do you like personal service from someone who worries about your whole family? Want someone to give it straight and bend over backwards to minimize costs WITHOUT compromising on the quality of your family's (pets) health? Then come here! See these guys! I have 6 pets and they all have different needs, from seniors to newly domesticated strays, to a high strung diva, they take care of them all. My favorite is the boarding. So so reasonable, and the get love, attention, and medical care! "I highly recommend this clinic. The staff is very compassionate and caring. A few of my friends recommended Dr. Frank and I'm glad I brought in my fur baby." "Absolutely incredible vet clinic. I had to euthanize my Great Dane and the entire staff went ABOVE AND BEYOND. They did the little things like walking out to the parking lot to help me, opening the doors, greeting my big guy and making him feel loved. They never left his side throughout the process. Bedside manners aren't something you can truly appreciate until you've had a bad experience (which I did at a different clinic). I've had some extremely unpleasant vet visits where I assumed I was over charged through unnecessary services and that was not at all the case here. This clinic was amazing. You need to bring your little pal here. They were so fair, compassionate, understanding, and even took the time to follow up afterwards. I will forever be grateful for these folks in a such a tough time." "Just moved here from Dallas and was looking for a new vet and found this vet because of their wonderful reviews. I had the pleasure of meeting Dr. Boerner who was extremely informative. I feel like my baby boy will be safe when hes with her and shell really will do whats in his best interest to keep him a happy and healthy puppy. My other dog will be joining me soon and so she'll definitely be going there as well. Thank you!"